We've had a bit of a cold front in Phoenix these past few days, but I can tell that pool season is most definitely on its way! It's funny, though. When I talk to people who do not live in the desert or who are not from the desert, they laugh when I tell them that 90 degrees (F) feels way too cold for the pool. Heck, even my mom gives me a hard time! Just a few weeks ago when my mom came out to visit with us, she packed her bathing suit thinking that I would want to go swimming with her. HA! It was in the 80 degrees temps back then, so I was still wearing a long sleeve shirt (and definitely was not ready to put on my swim suit). But once pool season is really here, Adam and I will be at the pool almost every single day. And you know for sure that I'll want to bring something cold and refreshing to drink while I'm out in the heat! 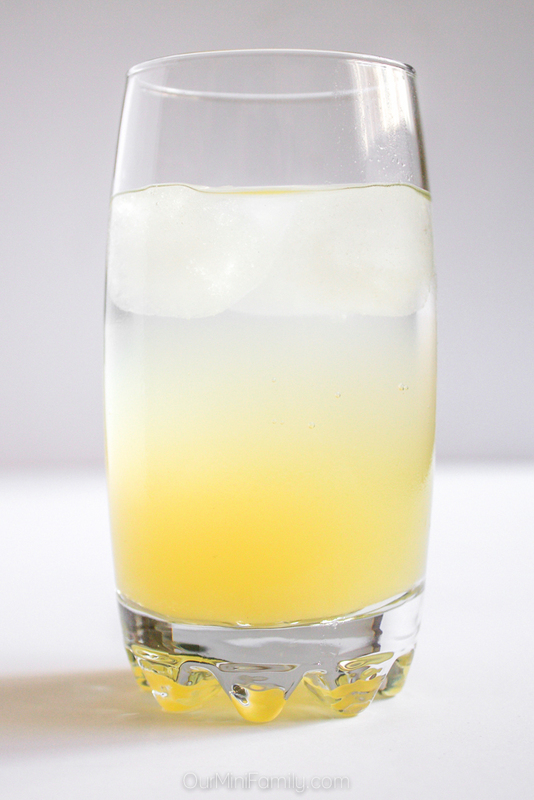 Today, I'm sharing this delicious, poolside punch mocktail recipe featuring Dasani Sparkling! This punch is packed with fresh pineapple juice, a medley of different sparkling water flavors, blue agave nectar, and lime juice! 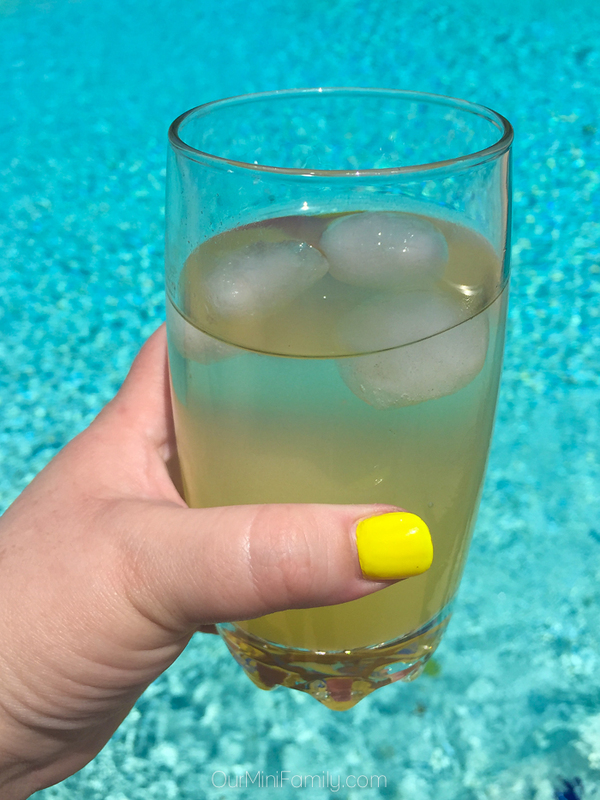 How to Make "Poolside Punch"
Fill a large highball glass with ice. 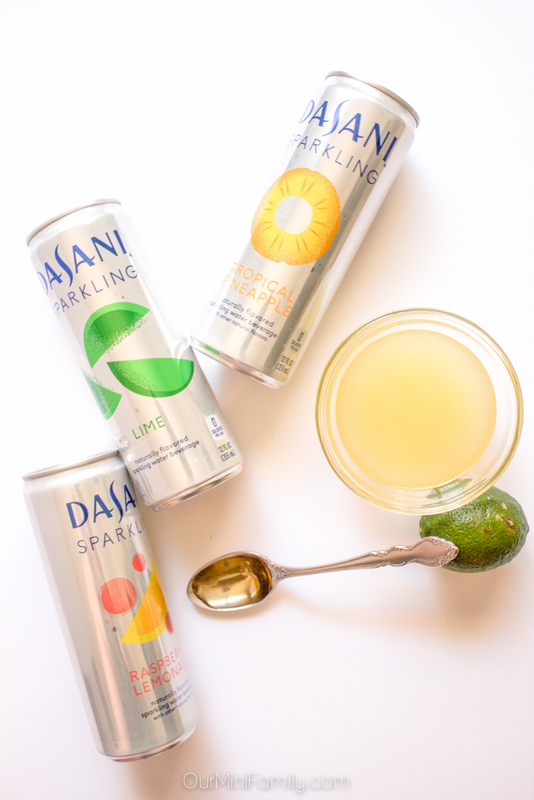 Pour all three flavors of Dasani Sparkling into the glass along with the blue agave nectar syrup and lime juice. Stir well. 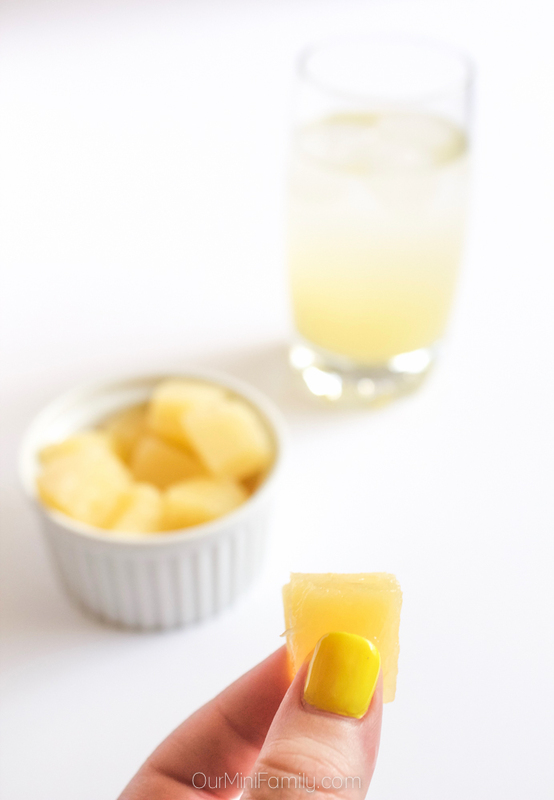 Slowly pour in the fresh pineapple juice so that it floats to the bottom and creates an ombre effect. 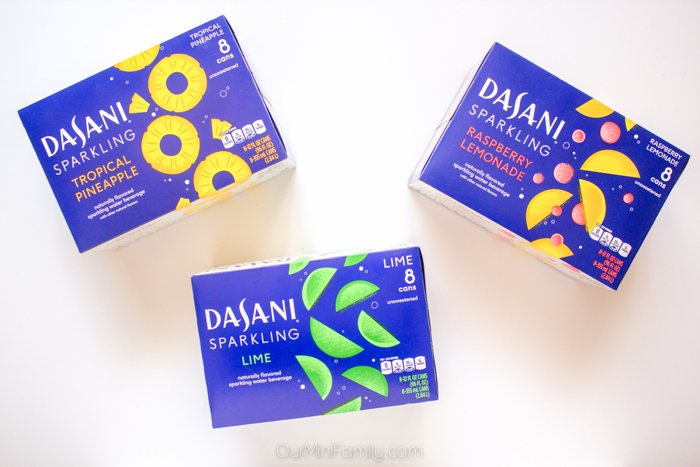 Dasani Sparkling is a great alternative to some other sugary beverages we usually drink. Adam is currently on day 3 of his 30 days cleanse of all sodas and coffees. I love my husband a lot (like a lot a lot) but he was so darn grumpy all weekend since it was the first 48 hours of going cold turkey on some of his favorite drinks and it was very frustrating! 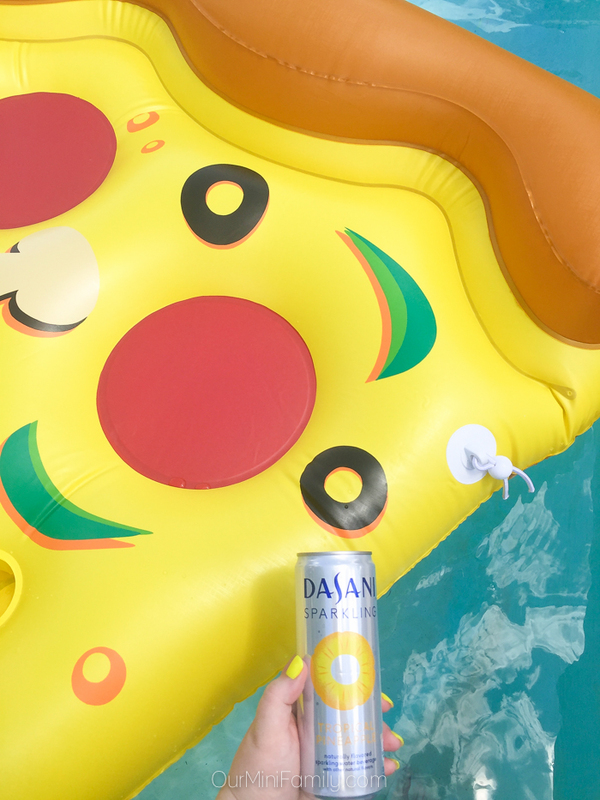 So, I decided to stock our fridge with cans of Dasani Sparkling--well, let's just say that he was definitely a lot less grumpy after I made him some refreshing poolside punch! 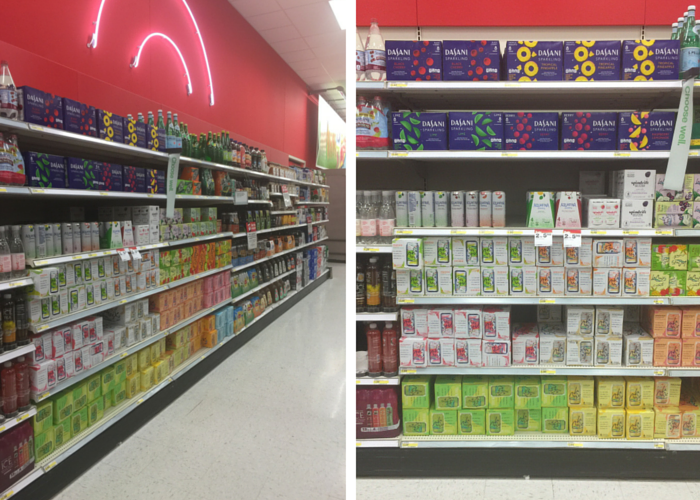 Be sure to pick up some Dasani Sparkling the next time you are at Target! You can find these 8-packs of 12 oz cans in the grocery/beverage section of the store. Looks really refreshing - especially in the summer by the pool! I havent tried Desani, so this might be the perfect reason to test it out! Cheers! What were the yellow squares? The product sounds good and Ill be getting some for my pool side visits! First of I love your pizza float that is so cool. The drink is so refreshing and I would love this by the pool. This looks delicious! I will have to try this on a larger scale! Its a perfect front porch drink with the girls too!!! This looks delicious! Perfect summer front porch drink with the girls as well!!!! My husband would love this - my son too. they really love the pucker-y drinks! They must love pineapple then! I love that Dasani now has a sparkling water option. This looks so good and refreshing. It is perfect for enjoying poolside. 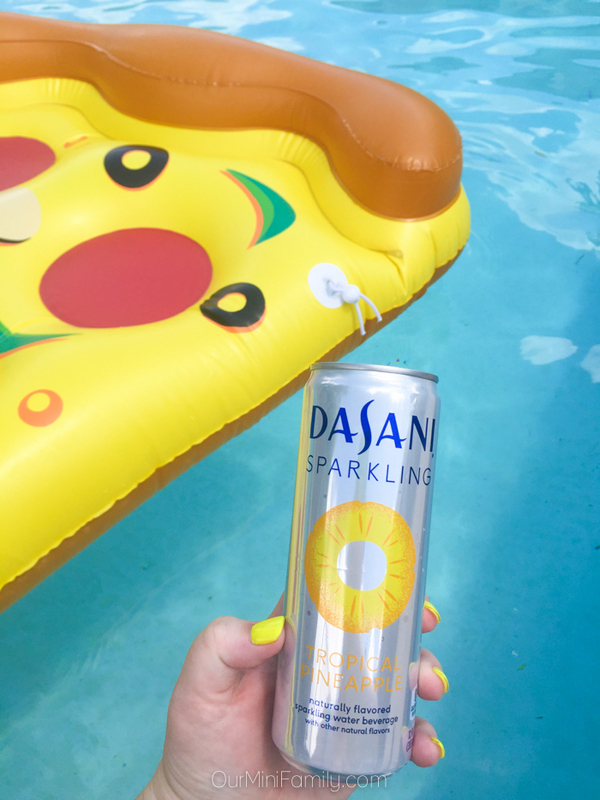 Dasani Sparkling is very refreshing! Oh that drink looks so refreshing. I just picked up a few of these sparkling water because my son just loves them. My daughter does too. Might have to make this. 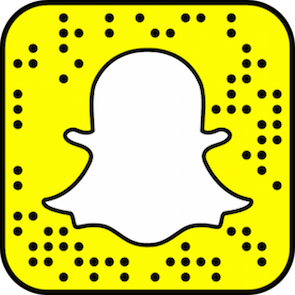 Hope y'all make some--would love to know what you think about it after you make it! I haven't tried these flavors out yet, nor have I seen them at the store. However, I'd love to try the tropical pineapple! 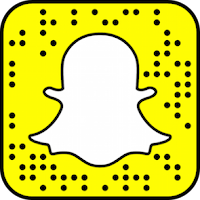 Hopefully you spot them at your store next time you are there--definitely recommend! This sounds so refreshing for right now, I need to pick this up. I never knew they had these. Definitely a refreshing choice! Perfect for summer, too! That looks so sparkly and zesty. Perfect for a hot summers day. Must get some. I love idea of this punch. What a great summer time treat especially when it's a 100 degrees. Mmhmm! Those 100 degrees days can be brutal without something refreshing to drink! That looks so good!! I'm a big fan of Malibu & pineapple, but I'm pregnant, so maybe this will be a good alternative for me! Awesome! Sounds like he needs to get some Dasani Sparkling at Target then! Oh I love anything with pineapple juice! Yum! 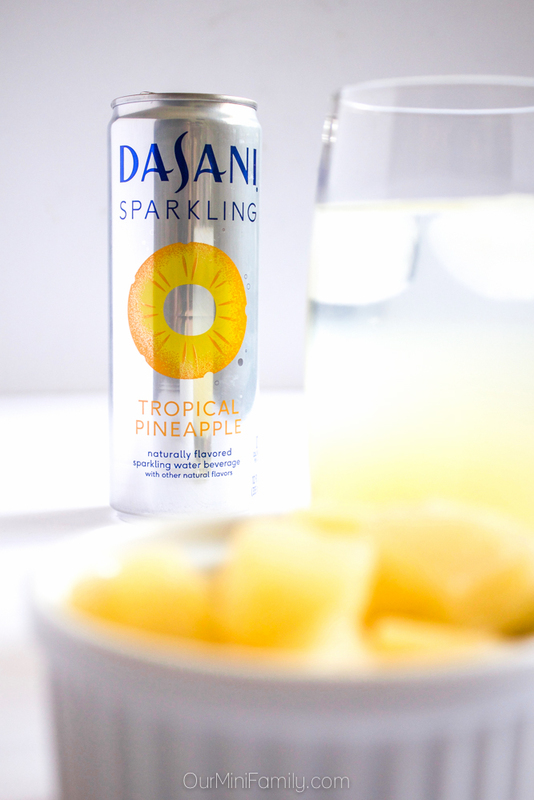 I didn't know that Dasani had sparkling drinks - I will have to check it out! Hope you love it, Heather! Looks like a great drink! We can't wait for our pool to heat up! I didn't know Dasani has a sparkling water. The flavors sound great especially the tropical. I just got really thirsty. This sounds refreshing! Ha sorry I made you thirsty! Summer is on the way, so punch recipe is always a good choice as Summer drink. I love the add of Pineapple as I'm a big fan of pineapple. Your recipe sounds refreshing. Yes! Love having punch during the summer--so refreshing and I love pineapple, too!